Rock ‘n’ roll has infiltrated the Arlington Museum of Art in the best way possible with the Rock ‘n’ Roll Wall of Fame exhibits – inhabiting all three floors—that explore the Rock and Roll Billboards of the Sunset Strip, Backstage Pass: Baron Wolman and the Early Years of Rolling Stone and Austin Blues. If music is your passion, dive into this exhibit running through October 18 while it lasts. Robert Landau was a hobbyist turned acclaimed photographer for his photo catalogues of LA’s Sunset Strip. 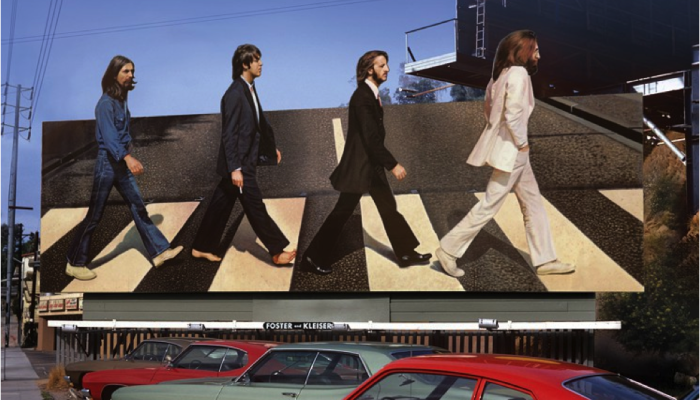 Hand-painted, these one-of-a-kind adverts for album releases transformed the Sunset Strip into a public art space. The Beatles Abbey Road is probably one of the most iconic images to ever hit the strip—and not because of the band or album’s status as one of the greatest of all time. What strikes us so much is at one point Paul McCartney’s head was stolen. I hate when that happens! Read more about the debacle at the exhibit, right next to the framed photo of the billboard. 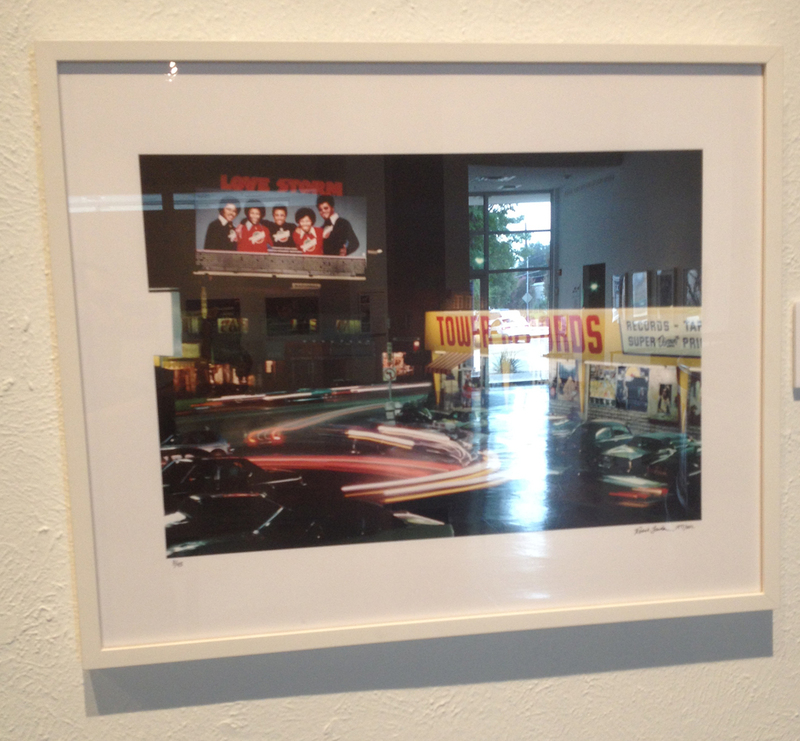 Another brilliant moment in time captured by Robert Landau, Tower Records is shown at its peak on the strip. As a Southern Californian, Tower holds much clout for being one of the primary places surf the racks for new and used LPs. An action shot, it captures the accumulation of oncoming and outgoing traffic reminding us music is immortal, it’s just us that changes. Candid, smoking a cig’ seemingly alone, the man in black is the first thing you see as you enter the Backstage Pass: Baron Wolman and the Early Years of Rolling Stone exhibit. 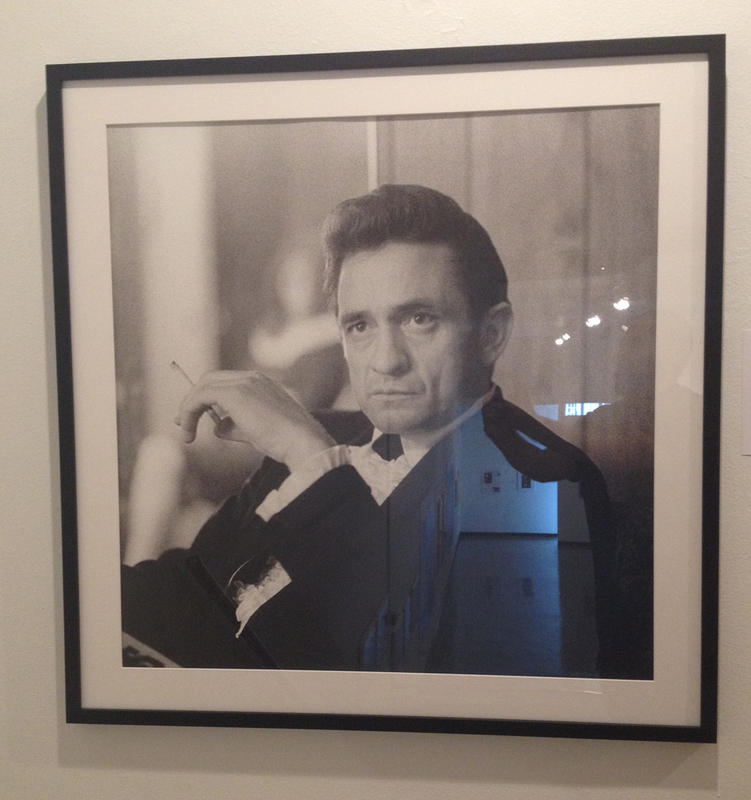 Wolman immortalizes Cash’s effortlessly broody demeanor. It is probably the coolest photo curators could have picked to kick off the exhibit. To give you the gist of something Wolman said himself, music photographers cannot photograph music, therefore they have the task of capturing our favorite artists creating and performing in the moment in which music is made. 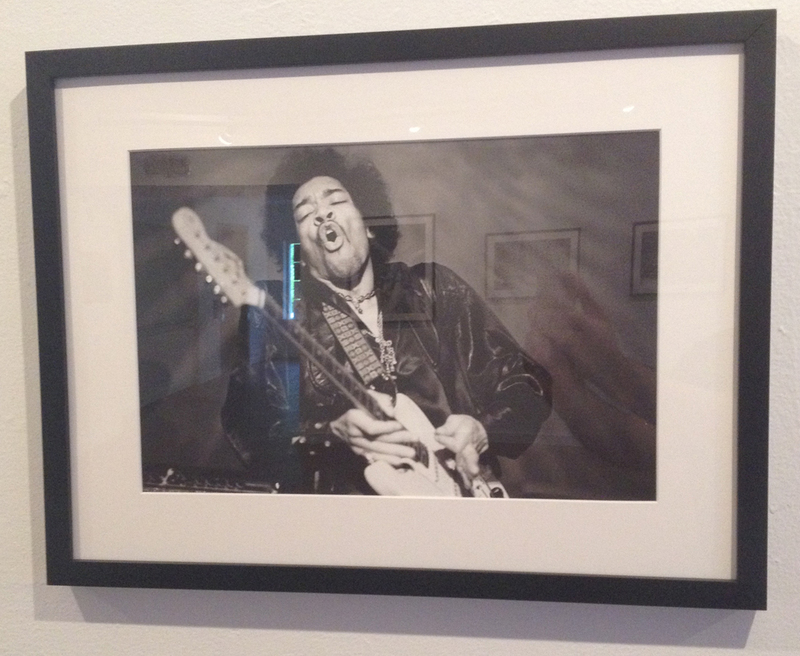 I love Jimi, and Wolman himself loved to photograph him (he mentions how he’s the most photogenic artist he’s ever photographed). I’ve seen this photo quite a few times before, on covers of compilations and t-shirts and it really stands out because it brings him back to life, or at least encapsulates his explosiveness as a performer. 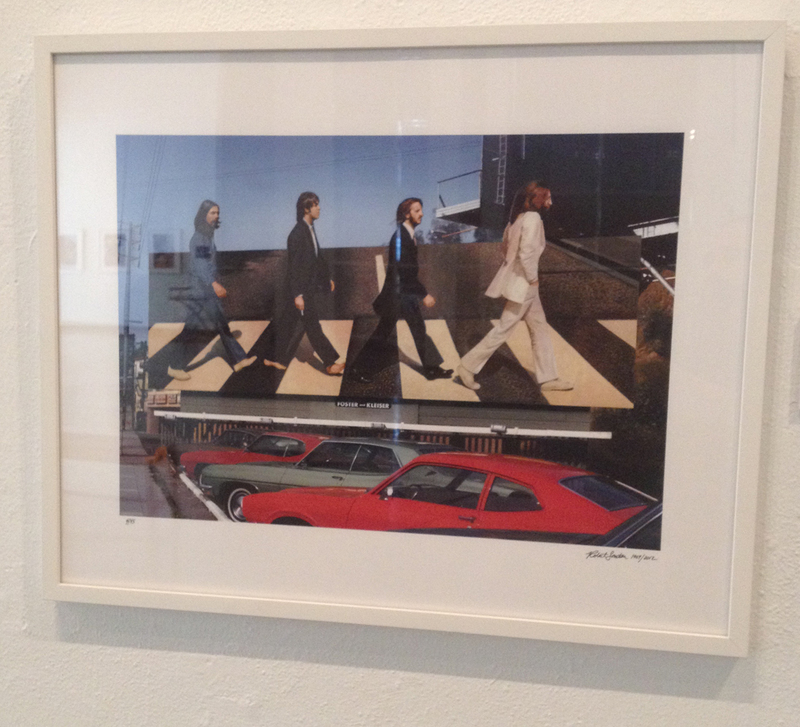 This was my favorite photo in the exhibition. 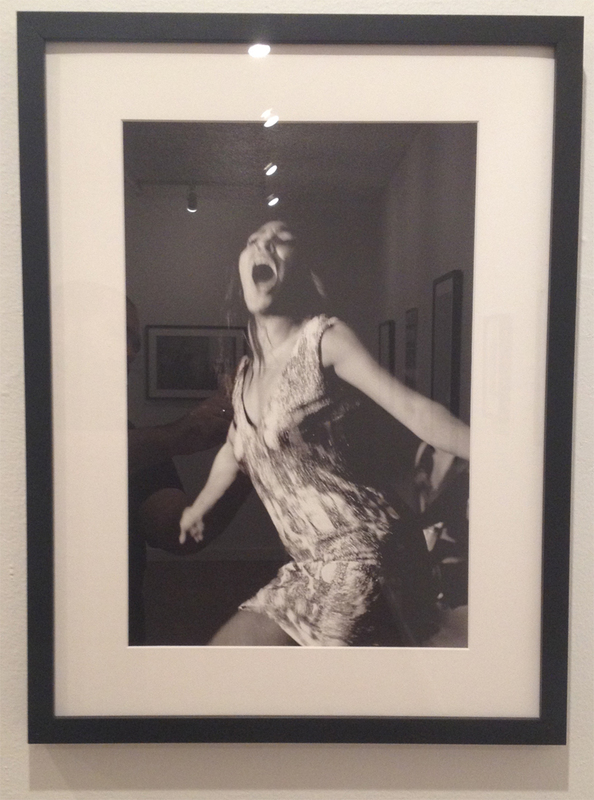 There is something so primal about this photograph that keeps me looking at—joy, frustration… ecstasy? It’s an attitude I identify with and am drawn to. Honestly, it’s the best photo Rolling Stone has ever had on its cover. You go, Tina.